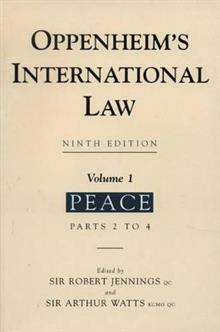 The classic ninth edition of this essential reference work on international law is now available from Oxford University Press. It takes full account of the vast increase in the scope and content of international law since the Eighth edition, and in the range of available source m... read full description below. This comprehensive reference work on international law, in its ninth edition takes account of the vast increase in the scope and content of international law over the past three and a half decades, and in the range of available source material. This volume makes use of state and diplomatic practice, and judicial decisions of both national and international tribunals. It also considers the major multilateral treaties on such matters as the laws of the sea, diplomatic relations, consular relations, the law of treaties and state succession. 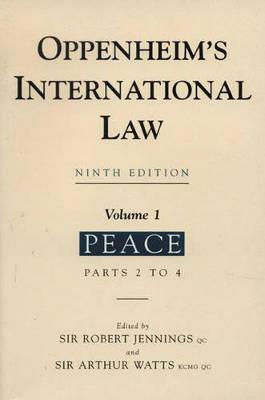 Other areas in which international law has developed, such as outer space, terrorism, the environment, Antartica, dependent territories and human rights, are also covered in the text. The late Sir Robert Jennings was formerly president of the International Court of Justice. The late Sir Arthur Watts KCMG QC was formerly ormerly legal adviser Foreign and Commonwealth Office and barrister and international arbitrator.